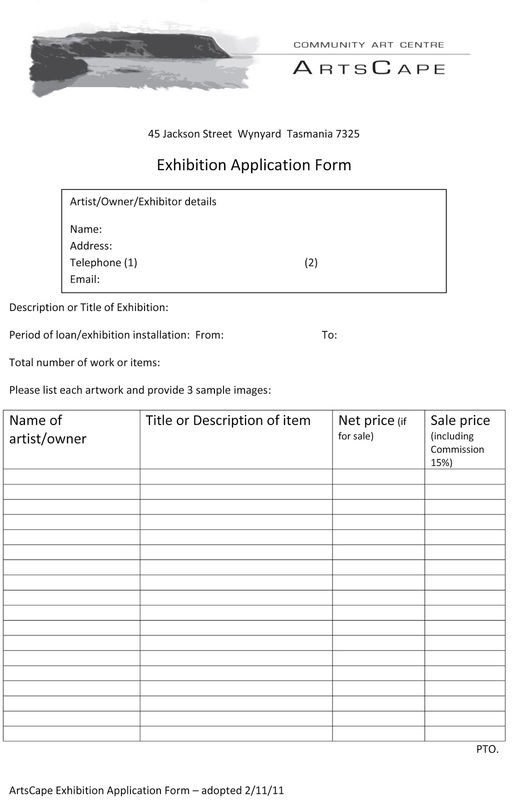 organisations may request exhibition space subject to availability and the Committee’s agreement. during the year to showcase work by Tasmanian artists. ArtsCape reserves the right to accept or decline an application. Exhibitors are responsible for any costs involved in hanging/displaying work but may seek help in arranging the exhibition from ArtsCape’s Exhibition Managers. catering, publicity and invitations. The date and details to be agreed with the Committee. Opening hours to be agreed with the Committee. Sale of items on display is the responsibility of the exhibitor, prices may be indicated and the relevant contact number displayed. 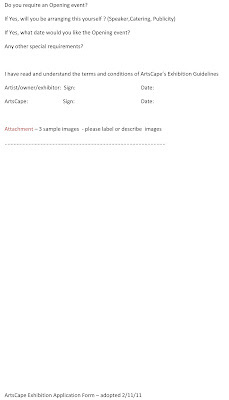 All due care will be taken of exhibits but ArtsCape is not responsible for any damage or loss of items in an exhibition. Exhibitors are responsible for cleaning ArtsCape to Exhibition ready standard following the Opening Event and at the conclusion of the exhibition period. Assist with the installation of an Exhibition. 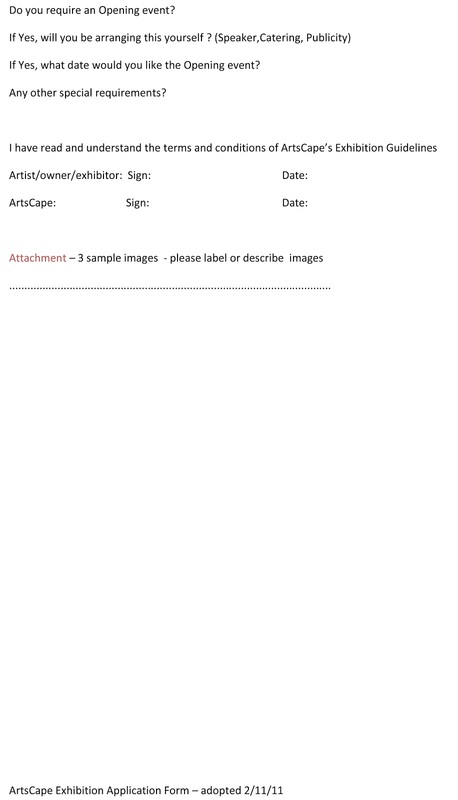 Assist with publicity of an Exhibition through use of its membership list and other contacts. displayed on its premises. All reasonable care will be taken of Exhibition items. Provide information and an image that can be developed for publicity purposes. Provide appropriate labelling for the exhibition. ArtsCape’s 15% commission on all items. item/s is on exhibit within the centre. 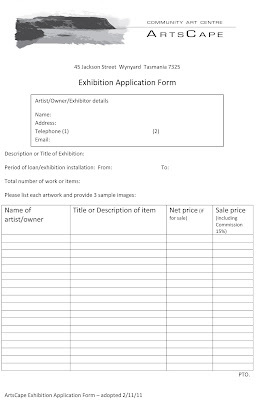 To apply for your own exhibition please email Janet (janetsell@netspace.net.au) and we will send out an application, alternatively if your computer savvy you may fill in the above forms and email us directly.